We can help you install your Swann CCTV Kit into your home or business – Free quote, expert installation, help and advice on setup – Call us today. We can install all Swann CCTV Systems – Ask for a free quote. Swann are one of the leading manufacturers of CCTV in the World and they offer a large and diverse range of CCTV systems that are well known for being well made and trustworthy. 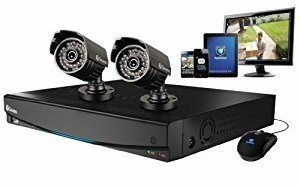 Their range stretches from DVR security systems (digital video recorders) to NVR security systems (network video recorders) and all of the associated equipment and accessories such as CCTV cameras. Many of their systems now support wireless CCTV cameras. Here at CCTV.co.uk, we offer Swann CCTV installation services across the UK and we can offer installation of all Swann’s range of CCTV systems. We have CCTV installers in every part of the UK and all of them are friendly, knowledgeable as well as having all of the skills and experience needed to install your Swann CCTV system correctly and ensure it is functioning as it should. A highly qualified and experienced CCTV engineer who is approachable and friendly. An engineer who will turn up on time and do what they say they will, when they say it. Advice and guidance on how use your new Swann CCTV system to make sure you are making the maximum use of its capabilities. Fantastic post-installation support from our knowledgeable and friendly advisors. In the unlikely event that there are any problems then we will ensure they are sorted quickly and efficiently. Complete our contact form for a callback or call now to speak to one of our specialist CCTV advisors who can advise you on installing your Swann CCTV system and get you booked in a at a time and date to suit you – Call 0800 211 8310.